Van Warehouse is one of the leasing companies in the UK that offers van leasing services throughout the country. 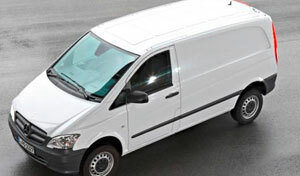 They aim to supply brand new and even second hand vans to businesses that may need them to run their daily operations. Van Warehouse Van Lease is very proud to offer discounted rates because they aim to provide great opportunities for small business owners to carry on with their dreams and save on costs as much as possible. Van Warehouse has made sure that they have great partnerships with a lot of manufacturers of vans all over the country to make sure that they can provide the vans that are in demand by their clients. Van Warehouse is ahead of their game in the industry of van leasing in the UK. They offer a great range of services that are needed by anyone who intends to lease a van. They give financial advice, financial agreement assistance, payment terms flexibility, technical information, van selection, even maintenance and repair contacts for customers who need them. Van Warehouse Van Lease offers options such as Finance Lease, Contract Hire and Hire Purchase. The company has made sure that they have put in a lot of work into research and development in order to provide the correct services to their customers because over the many years that they have been in the business, they have seen what the customers need and what the customers require before, during and after the lease agreements. Van Warehouse charges a calculated amount for the initial payment of the van lease depending on the value of the van that is selected to be leased. There will also be an additional deposit fee that is valued at three monthly payments. This fee is then paid to the finance company that the business owner is in agreement with. The business owner who agreed to the lease may adjust the monthly payments in order to lessen the payments in the latter part of the agreement. Van Warehouse is proud to say that they are a very transparent company, putting no hidden charges on their statements of account. They make sure that their customers only pay what is due, as stated in their van lease contracts. Van Warehouse also makes it a point to provide good deals and offers to their customers as much as they can. Van Warehouse is a part of the commercial vehicle department of the Frontier Vehicle Leasing Ltd that was created back in 1998. Van Warehouse is considered as one of the frontrunners in the van leasing industry in the United Kingdom because they supply cars, leasing offers, and even contract hire. Van Warehouse has connections with a host of various car manufacturers in order to provide a good amount of choices for those who are in need of a van lease. They also have partnerships with a lot of leasing companies who may give them an insight on the trends in the industry of van leasing.